Spc. 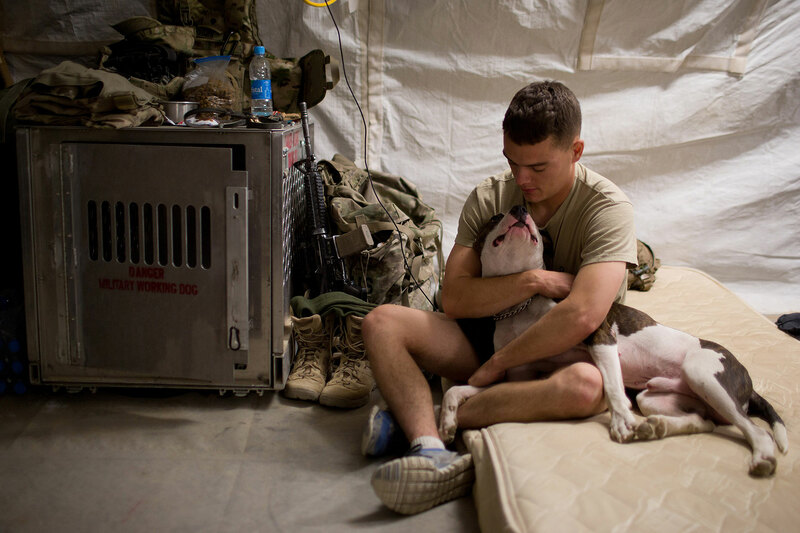 Reimer embraces Howard while they prepare for bed at COP Sangsar in Zharay District, Kandahar Province on Tuesday, August 7, 2012. Howard's kennel is next to Reimer's bed, when kennels are not available they sleep together.